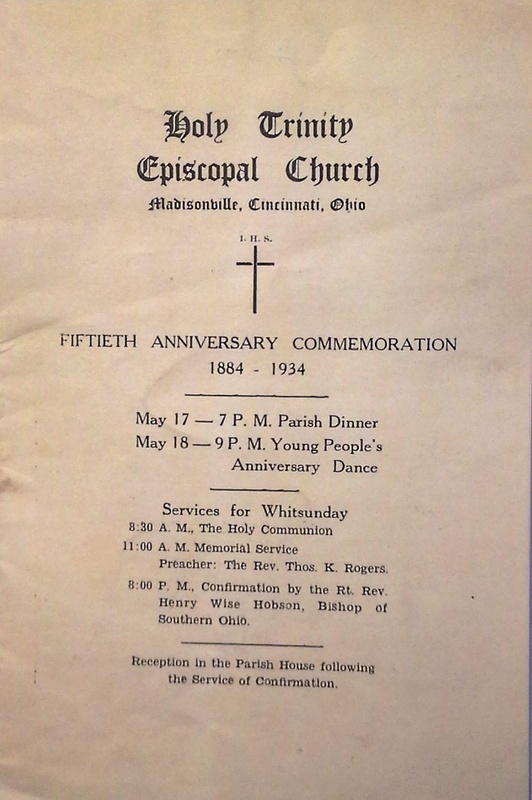 On June 19 1881 an Episcopal service was held at the Madisonville Presbyterian Church but there was no further interest until May 20 1884 when eleven Madisonville residents met at the home of Mrs. Ella Kelly. 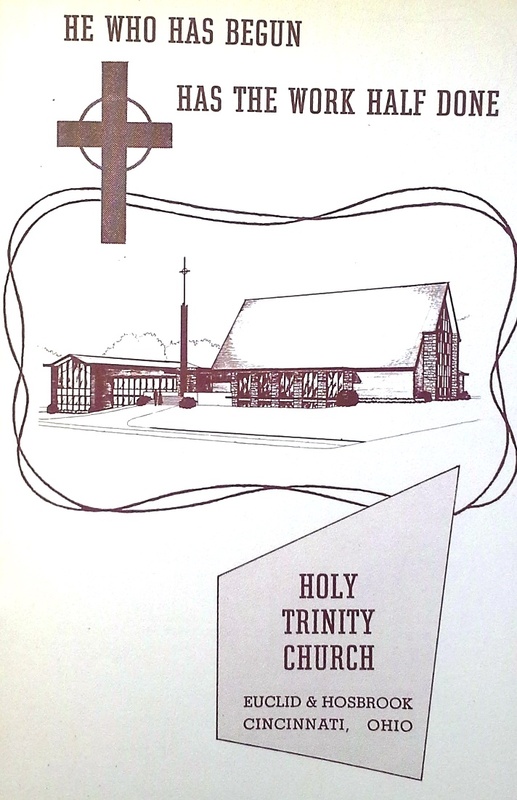 Services were held at various homes and soon it was decided to establish Holy Trinity Mission under the direction of The Church of The Advent. The Madisonville Presbyterian Church offered the use of their building for afternoon services for one year. When the year was up services were moved to a Madisonville roller skating rink. Wooden Planks were used for seating with a homemade Altar and other donated items as furnishings. All during this time money was being raised to purchase a lot on Peabody Avenue to construct a church building. On November 8 1885 the first service was held in the new Holy Trinity Episcopal Church building. The women of the Church immediately started organizing fetes and other money raising projects as well as an outreach program called the Episcopal sewing school where they taught the poorer children of the area to sew garments for themselves. Twenty five to thirty children met each Saturday for two hours learning to sew and having fun. The Diocese received Holy Trinity as a Parish in May of 1894. Many of the members of Holy Trinity worked for the B & O railroad. The closing of the B & O Railroad offices in Cincinnati and transfer of personnel and their families to other cities reduced the congregation almost to its original size but they struggled on and gradually grew into a thriving church. A pipe organ was added and a choir organized, and many programs and activates established. 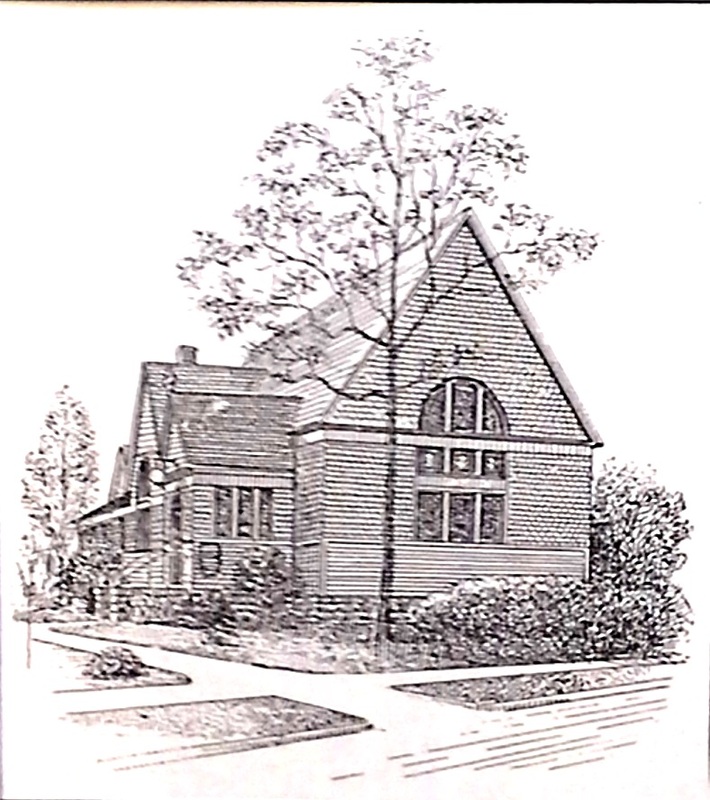 A parish hall addition was added and dedicated on September 23 1906. A fiftieth anniversary commemoration was held on Whitsunday 1934. In 1956 it was decided there was no longer opportunity for further growth in Madisonville and a building fund drive was established. With members pledging their support the lot at Euclid and Hosbrook was purchased and the Madisonville property sold. The Madisonville congregation joined the Madeira/Kenwood parishioners who were already holding services in various locations in Madeira including a Madeira school gymnasium. With the donation by members of both money and time the present building was completed and the first service was held at the new building on Thanksgiving Day 1960.